Prince's albums are back on Spotify, Apple Music and other streaming services from Sunday | What Hi-Fi? The late musician's work will no longer be exclusive to Tidal, as some of his most famous albums will soon be available on rival streaming services including Spotify, Amazon and Apple Music. Prince's music will soon no longer be exclusive to Tidal. The late musician's albums will be available on Spotify, Apple Music, iHeartradio and Napster from Sunday, the BBC reports. Amazon has also confirmed its Music Unlimited service will offer the albums. Prince pulled all his music from all streaming services except Tidal back in July 2015. But as of this weekend, customers of the above streaming services will be able to enjoy all of his Warner Bros. albums, including 1999, Purple Rain and Sign o' the Times. You can see a full list of his albums that will be on Spotify here. Google is yet to confirm if it too will offer Prince's music via Google Play Music. We've asked the question, and will update this story if we hear back. At the start of this year, Prince's estate signed a licensing deal with Universal Music Group and its merchandise and brand management company Bravado. This was thought to include streaming rights, following a lawsuit over exclusivity to Tidal and Jay Z's Roc Nation. While Prince agreed to make his music available exclusively on Tidal, that didn't stop him releasing his single Stare on Spotify. 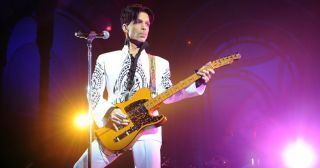 It's thought this deal is aimed at raising funds to cover pending state and federal taxes that Prince's estate might incur. The musician didn't have a will when he died, which makes the whole issue of sorting out who owns his intellectual property quite a complicated business.